The risk of breast cancer is at least two-fold increased in young women with a family history of breast cancer. Pregnancy has a dual effect on breast cancer risk; a short-term increase followed by a long-term protection. We investigated if the risk of breast cancer during and within 10 years following pregnancy is affected by a family history of breast cancer. We followed a cohort of women aged 15–44 years between 1963 and 2009 identified in Swedish population-based registers. Family history was defined as having a mother or sister with breast cancer. We estimated incidence rate ratios of breast cancer during pregnancy and time intervals up to 10 years post-delivery, with a focus on pregnancy-associated breast cancer (PABC), defined as breast cancer during pregnancy or within 2 years post-delivery. In 3,452,506 women, there were 15,548 cases of breast cancer (1208 were PABC). 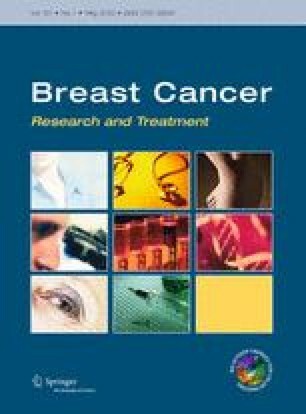 Compared to nulliparous women, the risk of breast cancer was decreased during pregnancy, similar during first year and increased during second year post-delivery. The pattern was similar in women with or without family history of breast cancer. A peak in risk was observed 5–6 years following the first birth regardless of family history. After a second birth, this peak was only present in women with a family history. Our results indicate that women with a family history of breast cancer do not have a different breast cancer risk during and within 10 years following pregnancy compared to women without a family history. This work was supported by a grant from Susan G. Komen for the Cure (Grant number KG 100116). The study was approved by the Ethical Review Board at Karolinska Institutet, Sweden. For this type of study formal consent is not required.